Thinking of a service few days ago and its here on internet launched few days back ! Really amazing, actually, I was thinking of a service which could be able to automatically backup my blogger posts, twitter posts, and facebook posts. But what I got today is mor than enough! Yes, the service exists and its with Flicker, Delicious, Zoho, Google Docs, Photobucket, WordPress, FriendFeed, Gmail, Hotmail backup and many more. That’s really impressive and the biggest part is that, they are giving lifetime backup for FREE for next 1 month. Not only these they are also going to come up with Xmarks, Youtube, RssFeed, Tumblr backup services. Ooops…I forgot to mention the service which is providing all these features, its Backupify. To use its services you will need to register first. Then you will get confirmation mail, confirm the verification of account and you are done with registration. > As you can see beside each service there is Manage option and obviously you will need to click on this option to fill your related service information. Then save the settings and you are done. That’s it, now onwards you will not need to do any thing. It will automatically backup you data. More, you can also view Archives and History of the backed up data. For me its a must have service for bloggers and others who wants to make automated backup of their important files on mails, blogs and so on. Also, right now there is double advantage the service is FREE until 31-January-2010, i.e. they are providing life-time backup without any cost. I use SysCloudSoft’s online backup to backup unlimited Gmail accounts and all my Google Apps data (Gmail, Google Docs,Google Sites,Google Calendar,Google Contacts). 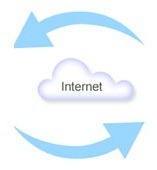 It is a single click, fully automated domain level backup to backup Google Apps business data. @SoumtaYou liked it…which services do you have configured with it? Ankit, you have mentioned that the service is FREE until 31-January-2010. Is it till January 2011?? Actually this post is old, you can see the date of posting. And the service was FREE until 31-January-2010.